Published in 2011 by Un-Gyve Press the 218 page hardcover book Twosomes features 202 plates, 101 image pairs representing forty years of photography by Mark Chester. 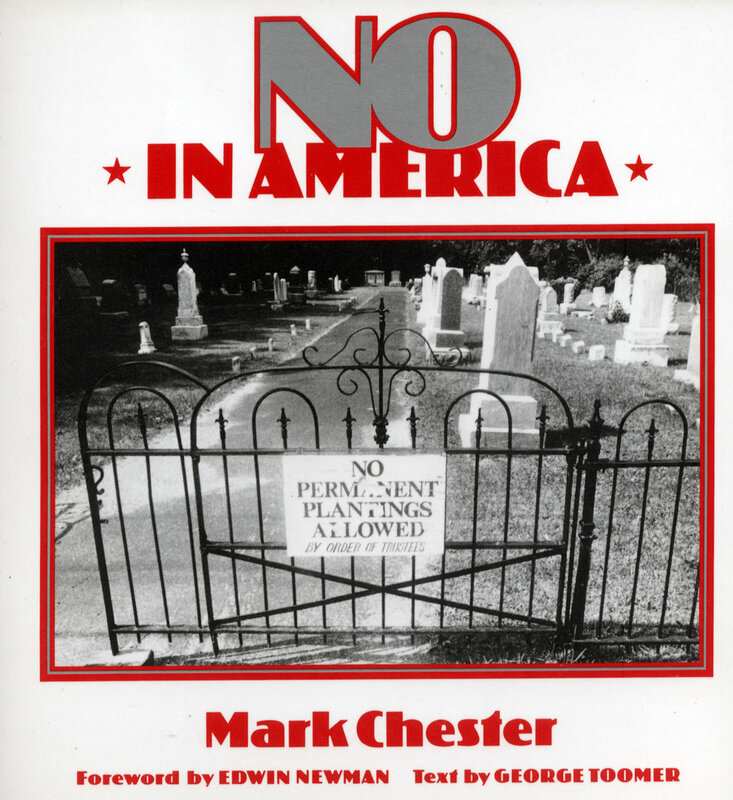 Published in 1986 as a signed limited edition hardcover book of five-hundred copies, as well as a softcover, Mark Chester's No in America is a collection of photographs documenting the word as it occurs on public notices, official and handmade, with text by George Toomer and a foreword by Edwin Newman. Published in 1979 by Harcourt Brace Jovanovich Charles Kuralt's Dateline America book of essays is accompanied by Mark Chester's photographs. Portfolio selections by Mark Chester including those of the NO series, Eyeglasses, and High School Graduation, are maintained in the permanent collections of museums such as the Portland Museum of Art and Springfield Museum of Fine Art where pieces from his Shanghai portfolio are also held. In 1987, Mark Chester created and produced the traveling exhibition and catalog, Shanghai: In Black and White, in commemoration of San Francisco's Sister City as part of a cultural exchange program. The photographs were displayed at the Fort Lauderdale, FL, Museum of Art; The Sidwell Friends School, Washington, DC; and the San Francisco Main Library.